Middle Grade Mafioso: The Fiendishly Difficult Middle Grade Mafioso Quizathon: Your Chance to Prove Yourself a Middle Grade Master! The Fiendishly Difficult Middle Grade Mafioso Quizathon: Your Chance to Prove Yourself a Middle Grade Master! 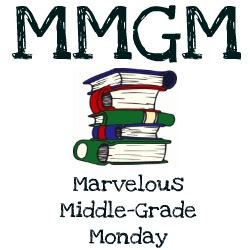 Are you a Middle Grade master? If so, you may be tempted to take my fiendish quiz. Here are the rules: You have from now till Monday September 30th, 11:59 PM PST to take the quiz and send me the certificate of your results. (Correction: Actually, you don't have to send me the certificate. The Quiz program allows me to see your results! So, just send me an e-mail to gilmartin_michael@yahoo.com, subject line I TOOK THE QUIZ, or leave a comment on the blog). One attempt per entrant, please! The prize: a $25 gift certificate to a brick and mortar bookstore of your choice (including Barnes and Noble). Extra prize: For every person you refer to take the quiz (and who mentions your referral in the comments), you will receive the chance of an extra $5, up to a grand total of $50. (i.e. refer 3 people (3 x $5) and, if you win, you would collect $40. I'm hoping this will work and not have any glitches--this is the first time I've used the ProProf quiz maker. If there are snafus, the quiz will have to be taken down and reworked. But the Don and I are very confident! Good luck, and may the Middle Grade Knowledge be with you! P.S. After you rock the quiz, head to Project Mayhem to congratulate our three new Mayhemmers! Well I took the quiz, but when I went to download the PDF it said "this type of file may harm your computer." So I didn't download it. Anyway, I got 65/100 but I had to look most of them up! In reality I would have gotten 2 correct and then maybe a few lucky guesses on the true/false and multiple choice. I suppose I'm not all that well read on MG after all. It was fun to take though! Thanks Michael. It was fun. Wow! That was tough! I only got a 70%! It was fun to see what I knew, though! I started to take the quiz, but realized I didn't know as much as I thought! Fun, though! It was a lot of fun, though. Very challenging. I took the quiz...and stunk, lol! Thought I knew more than that! Oh and Nikki Matteson found this quiz (and rocked it!) and referred me. I took the quiz and agree with Aeicha, I rocked it, lol! That was a lot of fun!